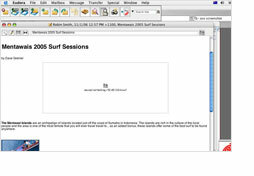 We are often asked if it is possible to use Flash movies inside email, and whether or not it is a good idea. We’ve done some testing to provide a definitive answer. 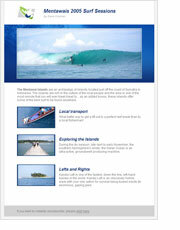 Our test email consisted of a basic HTML page with text, images and Flash content. We also included a text-only version of the email with a link to check out the full content in a browser. It turns out that the best approach is to use a background image in the table cell or DIV the flash movie is being placed. 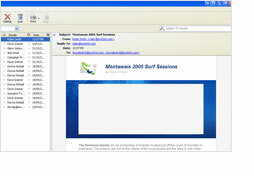 To cover a solid range of email environments, our test suite consisted of all the major PC, Mac and web-based email environments we could get our hands on. The results really do speak for themselves (more details below). Flash support across the most popular email environments is absolutely dismal. In the past, we’ve said that unless you specifically know the environment your recipients are opening your email in, avoid flash. Well, now we can revise that down to one lonely email client. Flash was built for the browser, and based on these results - that’s where it should stay. We’ve included a screenshot and summary for each of the tests we ran so you can dig a little deeper yourself. Click on a thumbnail to see a larger version of the screenshot. 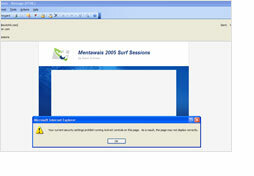 Before even seeing if the flash works an ActiveX security warning stops the test. 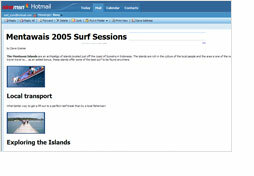 After clicking OK, the email displays, but the Flash content or the fallback image is nowhere to be seen. Outlook Express behaves much like it’s big brother. 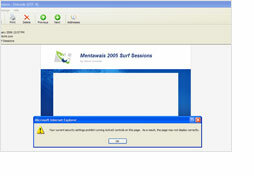 An ActiveX security warning is displayed, and once the email loads the flash content is just a blank area with no fallback image. While a security warning wasn’t displayed, Thunderbird instantly stripped out my flash content and didn’t display a fallback image. Eudora didn’t display the flash content or the fallback image, and even managed to mangle the background image behind the flash content slightly. 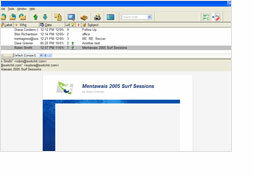 AOL products a very similar result to Eudora. 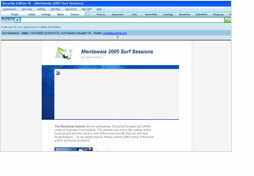 Neither the flash content nor the fallback image was displayed. This was always going to be a stretch, but you guessed it, Notes didn’t display the Flash movie or the fallback image. SUCCESS! Mac Mail loads the flash movie instantly and in all its amateur glory. 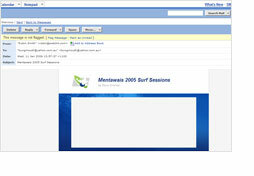 Unlike most of the other email clients, it displayed a broken media icon and the filename of the flash movie instead of an empty placeholder. At least this way the user knows they’re missing out on something. Entourage behaved much like its PC equivalents but without the security warning. No flash movie, no fallback image. If CSS is a no go, we certainly weren’t expecting flash support. We were right. 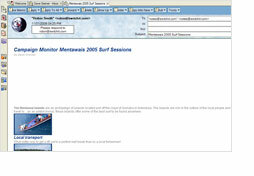 No empty placeholder or fallback image, the flash content was stripped from the email completely. 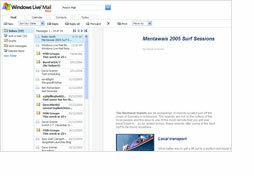 Just like Gmail, Hotmail stripped the flash content from the email altogether. No dice. Yahoo! 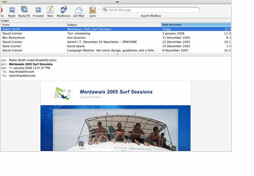 Mail is usually the most flexible web based email client when it comes to displaying content. Not this time. The flash movie or backup image is nowhere to be seen. It’s probably a little early to make any concrete assumptions about Windows Live Mail, the next generation web based email client from Microsoft. At any rate, it’s not looking good. No flash content, fallback image or even background images. 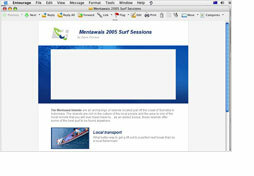 It does have much better CSS support than Hotmail, but that’s another kettle of fish.